A few weeks ago, I blogged about the Flood Charity Gala taking place in London with funds raised being donated to the DEC appeal. The event was a huge success and at the last count the total raised was reported to be £15,000! One of the supporters of this event was asianfashionblog.co.uk favourite Ziggi Studio. 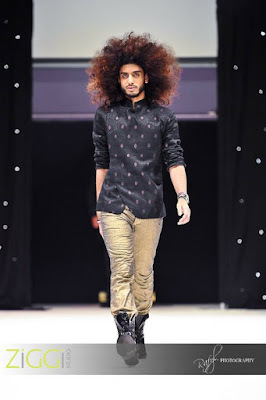 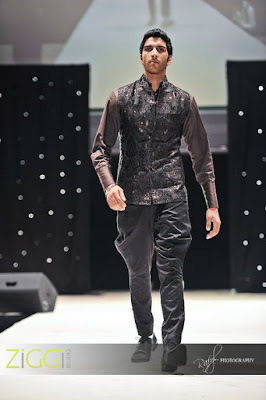 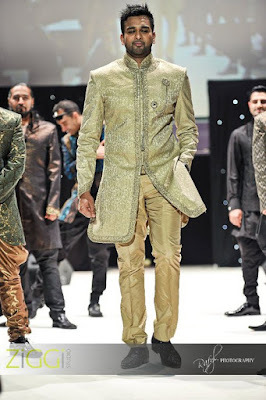 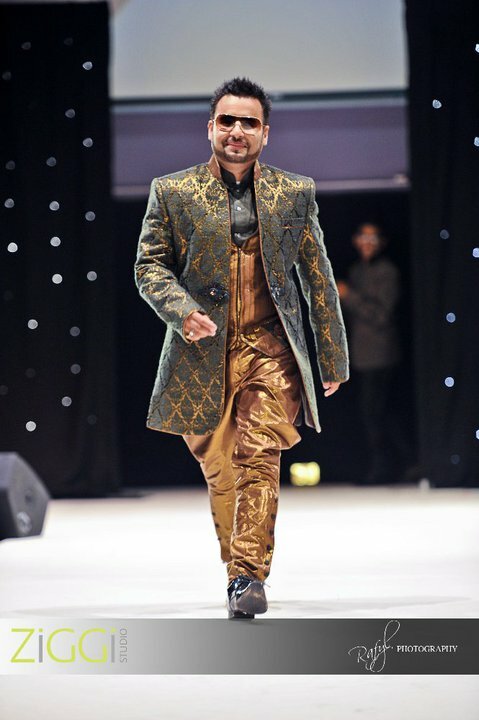 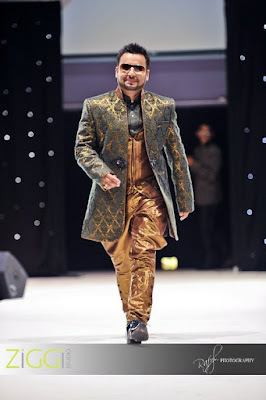 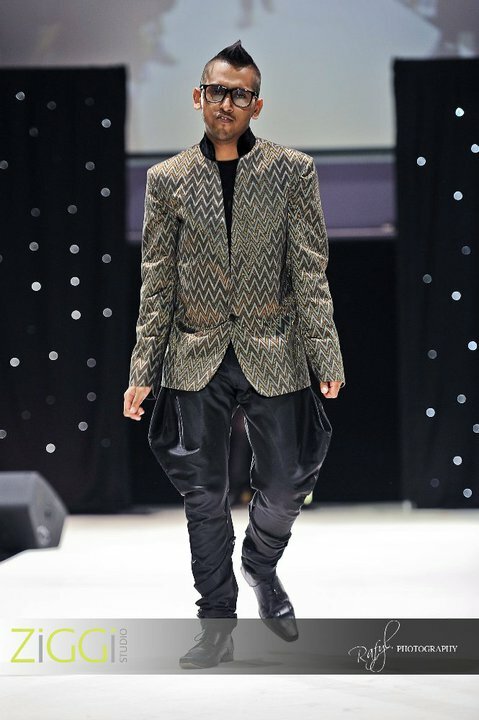 Ziggi provided outfits for the male celebrity catwalk which included Actor Ameet Chana, Raj and Pablo from BBC Asian Network, Sunny and Tindy from The Family and half the husband-wife duo who put this whole event togther and took on hosting duties Murtaza Ali. 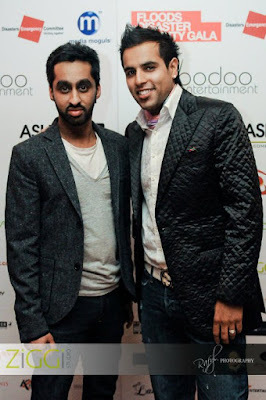 Finally, here's Ziggi with H Dhami, Ziggi designed an outfit for H Dhami's wedding last month. 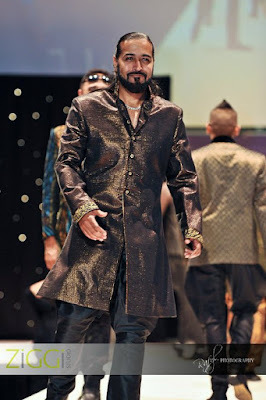 I'm afraid I don't have any photos of that sherwani, although I'm sure you're just as curious as I am to see it! 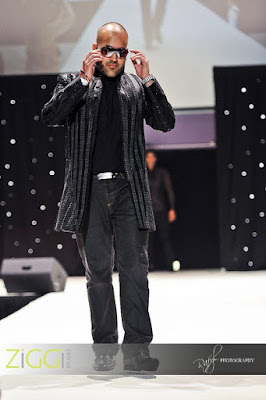 A big thanks to Ziggi Studio and photographer Rafyl for permission to post these photos.